Posted Jun 18, 2018 by Eds. A wise person said being attacked by one’s enemies means you have become effective. Events over the last weekend at the Left Forum in New York City prove the Black Alliance for Peace (BAP) is now seen as a threat, making our 1-year-old organization a target. It started with an article circulated against BAP’s national organizer, Ajamu Baraka, calling him an “Assadist” and a Trump supporter for opposing U.S. imperialist intervention in Syria. The weekend ended with a demonstration organized by an obscure group during Ajamu’s presentation at the closing plenary. We welcome the attacks because we understand why they would see an independent, politically clear formation like BAP as a threat. But we also know that we need to be ready for even more attacks. A revolutionary formation that upholds peace, social justice, and the struggle against war and militarism within the context of an anti-imperialist frame is a deep threat. But when you consider the base we are attempting to politicize and organize is African/Black working class-oriented activists and organizers, why, that is just too much for the system to handle. BAP member Efia Nwangaza represented BAP as an election observer in the Venezuelan presidential election, which was closely observed around the world as the revolutionary Latin American state faces pressure from the United States to yield to transnational capitalist forces. Efia reported on her trip last week on a national call. BAP commemorated African Liberation Day on May 25 with a statement demanding the United States get out of Africa. We followed up with a call for the Congressional Black Caucus and leaders of the Poor People’s Campaign to demand AFRICOM be dismantled. We thank our research and Africa teams for meeting and moving the campaign development work forward. If you’d like to join these teams, apply to be a member or supporter. We are only able to do this revolutionary work with support from anti-imperialist folks like yourself. 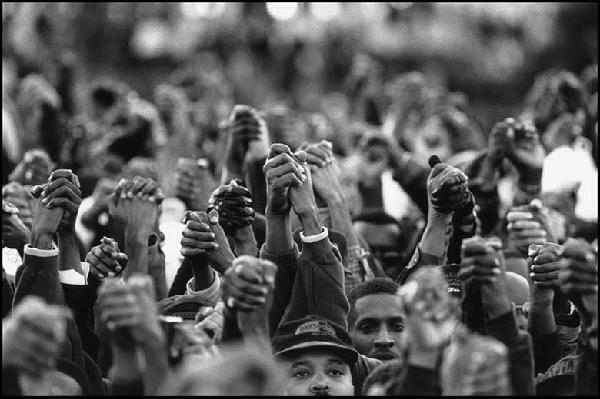 Can we count on you to keep building the Black anti-war movement in the United States?